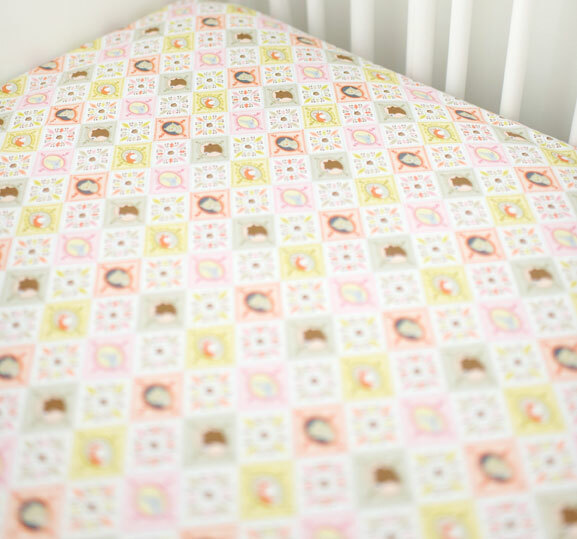 This sweet pink woodland crib sheet features a fun patchwork pattern of forest animals. 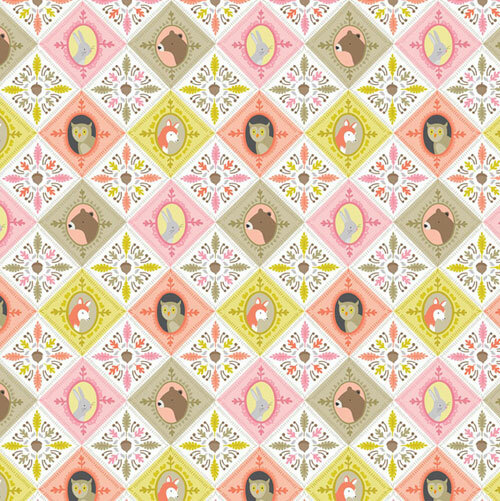 Made of our Born Wild Patchwork Fabric, this baby sheet is perfect for your baby girl's woodland nursery! 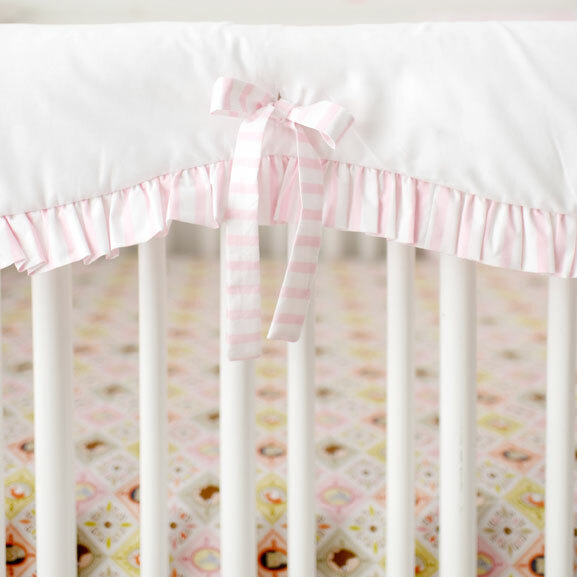 All of our crib sheets have elastic around all four corners and are fitted for a snug, secure fit. 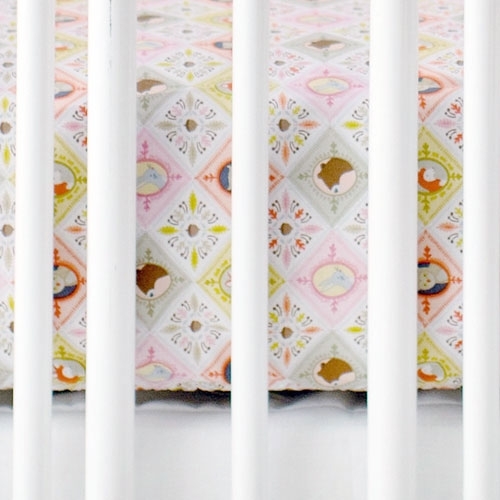 Our baby sheets fit a standard size crib mattress, approximately 28" by 52". 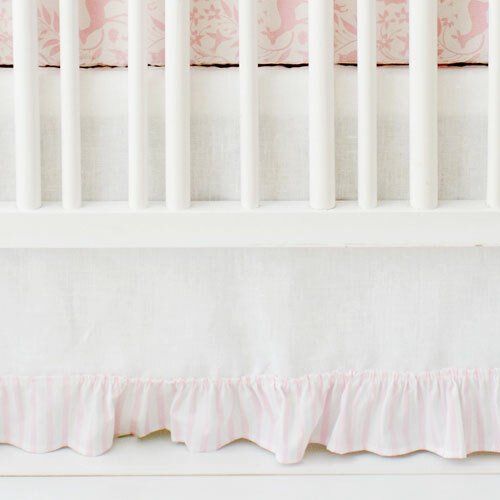 Coordinate this woodland crib sheet with our Born Wild in Pink Collection.